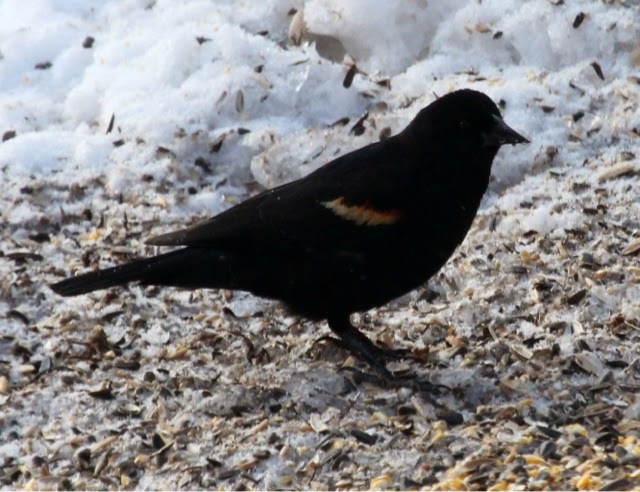 One of the sure signs spring is here is when the red-winged blackbirds show up. I got a tip that they had shown shown up for the first time on Friday at work while I wasn't there. When I came in this Monday morning, sure enough, there were dozens of them flying around and calling like mad. It may be snowing out but Happy Spring!